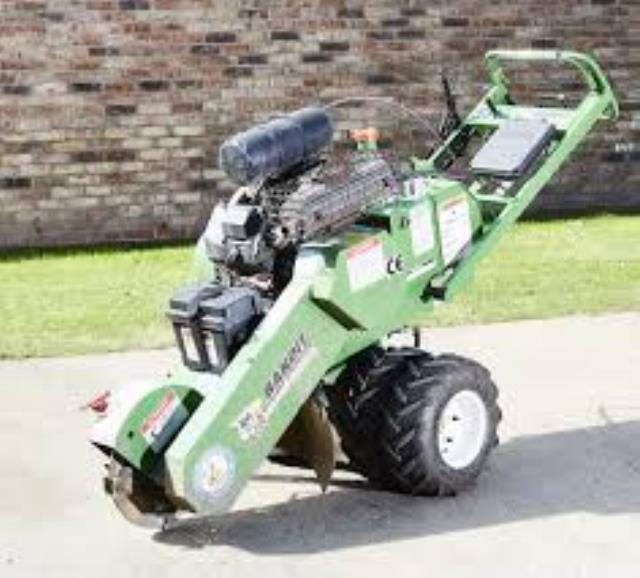 Stump Grinder with lots of power for larger jobs. Self propelled, so no pushing on hills or when loading. Electric start engine (25 hp) with 29" wheel width to fit through gates. Grinding range: 24" above grade to 22" below grade. Weight 580 lbs. 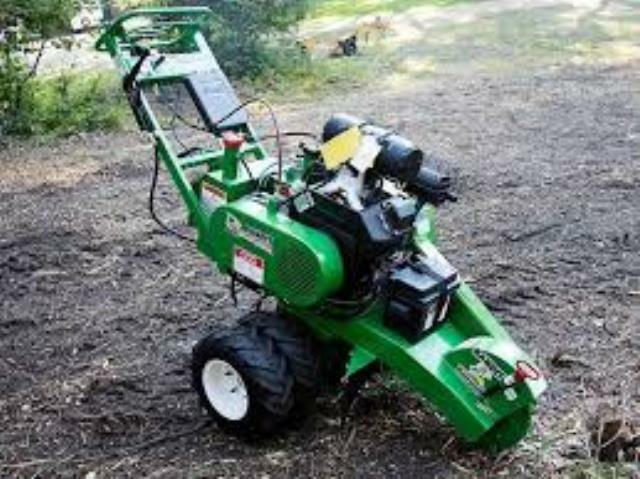 * Please call us for any questions on our large stumpgrinder rentals in Calgary, Alberta.